DELETE was an event of creation, play, and destruction hosted by Bar SK, a small bar and gallery space for new and playful media. During the day, artists made games with custom physical controllers in just 8 hours. 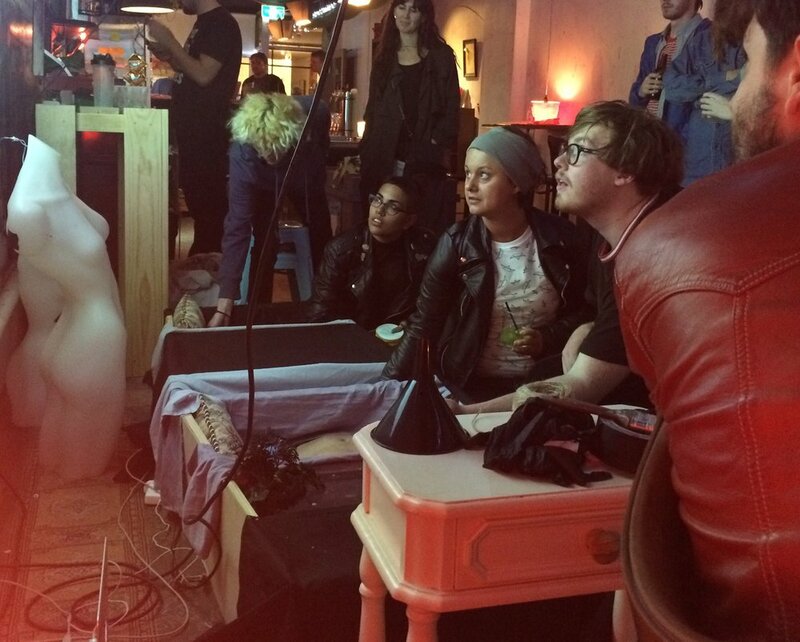 These unique playful experiences were then showcased at the venue to the public. At midnight, all the work was deleted and destroyed: no code backups or USB copies. DELETE celebrated transience in videogames and digital culture. Conceived, built, and dismantled as part of this event, Body of Play is a performance art game inspired by virtual violence in videogames. 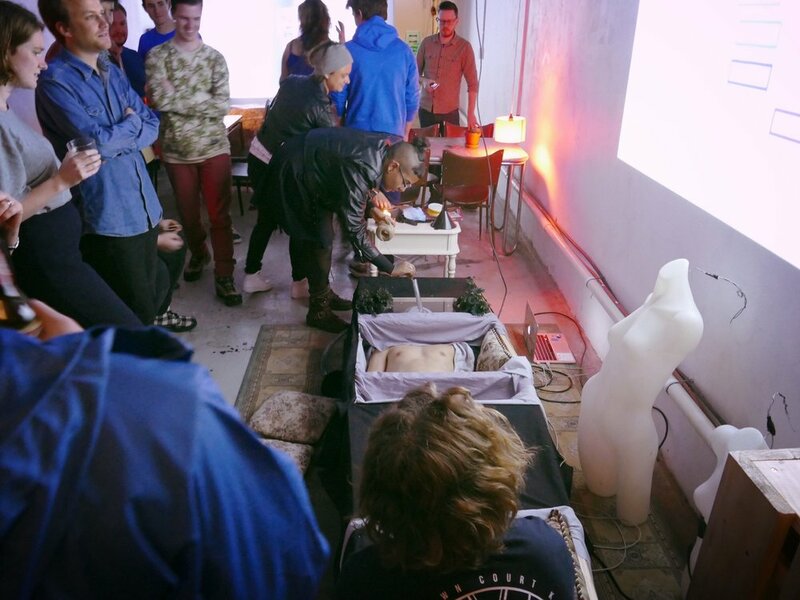 My body, placed in an open coffin, was the physical interface to a digital system. Players used tools to cause various types of pain and pleasure, trying to stimulate my senses into a target configuration. Four teams were successful on the night.